When was the last time you learned something new: a new skill, or a new hobby? When was the last time you felt like a small child trying to put two and two together in a new subject? Knowing how your keywords rank is not enough. It is also very necessary to know how your brand, client, site, or product comes up against competitors. MozPro gives you a great way to track up to three of your competitors. But what if you have more than three competitors or sites you want to track? More importantly, what if you want to see who else is ranking (a newcomer, an indirect competitor, etc.)? Have you ever wondered why your AdWords or ad campaigns aren’t yielding any conversions? Or at least not as many as you’d like them to. You do the usual: you check keywords, tags, add negative keywords, fine tune your landing pages, but still conversions aren’t adding up. This frustration is more common than you think, but it is also a symptom of not looking at the big picture. Have you found little to no engagement from your client’s side as a consultant? You have recommendations, you want to deliver results, but you need action from the customer’s side? I published this very dynamic and its potential solution on Medium. Take a look. Recently my partner and I had a major change in our lives: we moved from Mexico to the US. Besides the fact that an international move has its major challenges in practically every area in life, there is one minor detail I didn’t count on: iOS’ country restrictions. Where to begin? I’ve read dozens of business books on growth, startups, and product market fit. They all have been of great influence on how I perceive digital marketing to be, and the role it plays for businesses. But more importantly, experiencing first hand what marketing efforts can do for a startup or a business, has made me truly understand why outsourcing growth can be of great value for a company. Growth Hacking seems to be yet another buzz word. In my view, it is just a trendy way to explain what businesses (digital & brick and mortar alike) have been doing – or trying to do- since Adam Smith’s “The Wealth of Nations”. 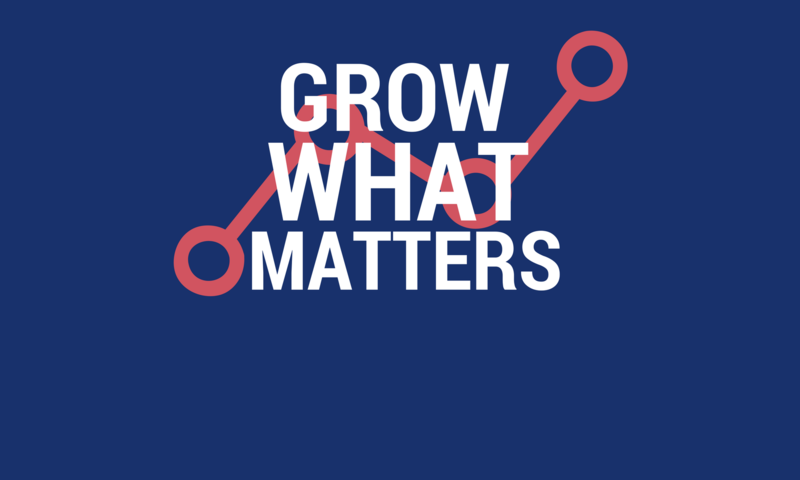 After all, if you are a business owner, wouldn’t you want to actually grow your business? Yet throughout time we have gradually narrowed down or specialised our skill sets to come up with better results. That has given way for a bigger division of labor. You may be a business owner, but that does not mean you will excel in all of the tasks, skills, and knowledge required to build a profitable business; in fact, that’s the point, you shouldn’t be. You are trying to deliver value to your customers with your product or service, so focus on creating that value from the ground up. Thus “delegating” and “team work” become the key to your business’ success. This delegation of tasks need not necessarily mean that you need to hire a great deal of people and do everything in-house. On a broader scale, that would defeat the purpose of delegating; you would be trying to do everything yourself, as a company. This can happen at any level of expertise or industry. So in order to decide which tasks should be done in-house and which should be outsourced, you should really put pen to paper, and define what you really are good at as a company: what exactly are you selling? Everything else, should be delegated or outsourced. Not only will this make you greater at what you do, but will also save you costs in the long run. Growth Hacking can certainly be one of these outsourced tasks. There is an entire industry dedicated to help you grow your business. This doesn’t mean that you should forget about your marketing strategies at all, it just means that you are leveraging someone else’s expertise for your benefit. Of course, you should always find a company or a professional that understands your offering, delivers results, and maintains an open channel of communication with you. Remember, you are outsourcing your growth strategy, not alienating it, so communication with your growth hacker or marketer is of the utmost importance. The only way to know that for sure, is to go out and try their services. Make sure to first check your own expectations, and goals. Are they realistic? What are your metrics of success? Find someone who gets them, and designs an actionable growth strategy for them. In the end, the successful scenario is one where you can focus 100% on your business, while someone is making sure it grows. It seems it is an entirely new era for Apple. Even if the world hadn’t learned about Steve Jobs’ passing away and Tim Cook taking over the direction of the company, one need only take a look at the latest developments chez-Apple to notice things have definitely taken a new direction. First off, the iPhone 5 has taken heavy criticism. Even though people stood in line for hours outside Apple stores around the world to get their hands on the new iPhone, many have also felt there hasn’t been true innovation in the latest iPhone model. Other than it being slimmer, lighter and of course taller, there are other things that haven’t really changed. To be fair, the new aluminum model maintains the innovative model, and an easy grip. What does really come as something new, is the iPad Mini. When Jobs was still around, he often refused the idea to come up with a smaller iPad model, mainly because he did not want to “go down” a level and compete directly with the Kindle Fire. Still, interestingly enough, after Tim Cook announced the new tablet, there was mention that Jobs was “reconsidering” his statement days before he passed away. However, the iPad Mini is much more affordable, and even though it is not equipped with retina display, a great number of users are extremely satisfied with the mini tablet. Online sells have run out of stock [fortunately I could get one of the last online purchases of the iPad Mini myself – does it show that I’m an Apple lover?]. To play devil’s advocate, nothing can be perfect forever. There are bound to be flaws, even from the greatest companies in the world. Both products have run out of stock mostly as soon as they are released in different parts of the world. Not to mention the never-ending lines outside retailers. If you ask me, the video shown at the Keynote by Cook on the new opening of an Apple Store in Barcelona was a tad much, even tacky if you will. Just to sum it up, as they say “God – or the devil? – is in the details”, as is Tim Cook or Steve Jobs once upon a time. Can you tell the difference yourself? Excellent read for start up communities from all over the world.